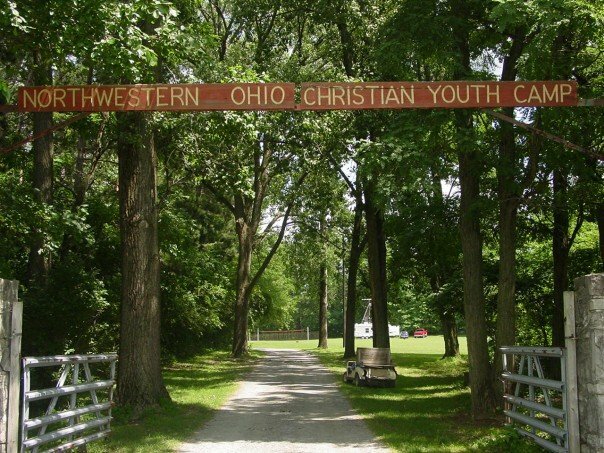 This week’s Monday’s Many Thanksgivings series focus – Northwestern Ohio Christian Youth Camp (NWOCYC) . It is otherwise known as “Heaven on Earth” for those who have had the fortune of spending time there. It may seem odd in the midst of an infertility/adoption blog to include an old camp with dilapidated buildings as something to be thankful for. On the surface, it is rough. 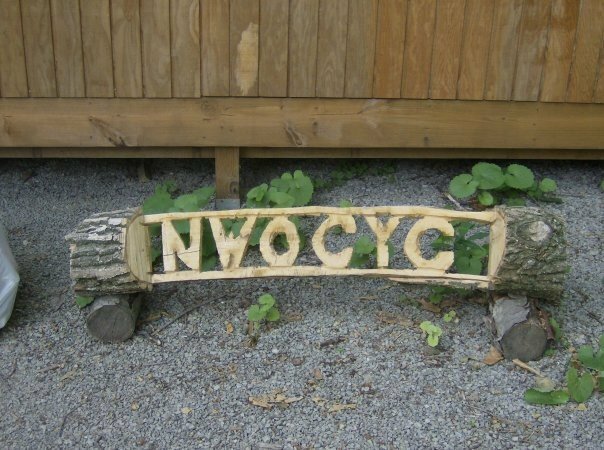 I have struggled to find exact dates the camp was built as our camp board purchased it in the late ‘70’s from the YMCA, but it is believed to have been built as part of FDR’s movement to pull the nation out of the depression. As you can imagine most of the buildings have seen their better days. The cabins are small wooden structures with 10-12 bunks. Each bunk has a mattress that is about 4 inches thick. The shower houses are full of eight legged creatures that I swear are feasting on steroids. No week is complete without at least one girl’s cabin screaming and scurrying out of their cabin because some unwelcome critter has made a home with them. Usually, it’s just a mouse, but sometimes a snake or lizard shows up. Every year, I wonder why I do this to myself as I am not so much the wilderness type. But, then I walk into the dining hall. I see myself surrounded by other Christians. With spotty cell phone coverage, we get forced to unplug. We lose touch with the outside world and spend a week playing, learning, worshiping and building each other up. As our worship is a capella style, the singing is amazing! I get to watch friendships form that will hopefully last throughout the campers’ lives. I get to witness people put Christ on in baptism. In essence, we get a small taste of what Heaven will be like. For a parched soul, wandering through the grief of infertility, it is one week a year where I get refreshed. My focus gets shifted to the much bigger picture of what it means to be a Christian, getting to unload the baggage of being barren. It has always been one week a year where I can take my experiences and reshape them into meaningful, genuine devotionals born out of struggle and relay them to the campers. It helps me to see the good in the difficulties that I face year to year. And, this year, I got to watch my son play with kids that will hopefully be lifelong friends. I got to sit around the campfire singing “We’re a Rainbow Made of Christians” to closeout each night, holding his little hand in mine, with tears streaming down my face, eternally grateful for the privilege of sharing something so meaningful to me with him. Having this camp has meant the world to me throughout our struggle. Over and over, each year it has helped ground me in what really matters in this life – our Christian walk. My wish for all of you is that you are able to find that place that helps pull you out of the trenches and allows you to refresh your soul. Getting to take time out each summer and unplug has been vital to surviving this journey! For that, I am incredibly thankful! Thank-you! I am so glad you find it helpful!